What’s your dream day? Staying at home and sinking into your couch to enjoy a good movie?Going out breathing fresh air and feeling free? People can be both indoors or outdoors, and so it happens with elliptical bikes. But, what’s an outdoor elliptical bike, if that even exists? Find it out and forever change the way you have always seen this particular piece of equipment. What is an outdoor elliptical bike? Elliptical bikes are classically known to be similar to stationary bikes. You can use them indoors to do some exercise while watching TV or anything else. But thinking especially of those users who love to see nature and enjoy the open fields, outdoor bikes are now combining the classical elliptical bikes with the classical bicycle. You can take it out, using it the same as a regular bike. An elliptical bike will provide lower impact to your articulations along with a revolutionary cardio session that will definitely blow your mind. Low impact exercise: Why not using a regular bike instead? Outdoors elliptical bikes are not just for show, to catch people’s attention because you’re doing something new and different. They have actually many advantages, and one of them is the low impact on your articulations. So, if you’re overweight with joint problems, have suffered from arthritis or similar health problems, consider using an elliptical bike. It is fun, but also safe for your knees. Fun exercise: You probably didn’t know about this bikes before reading this article. This is because the design of this piece of equipment is absolutely novel and unique. Using this type of elliptical is easy and really fun, not to mention that you will be one of a kind. Just imagine being out there doing a full-body elliptical workout instead of feeling trapped behind walls. If you’re one of those who enjoy fresh air and nature, if you rather exercising with friends but you like elliptical machines as well, the elliptical bikes are definitely for you. Full-Body Workout: When you’re riding an outdoor elliptical bike, you will be standing on your feet. Different from standard bikes, this position will help you perform a full-body workout. This stand-up position includes your core muscles and upper body to your already worked out legs. So, you will exercise your abdominals, upper extremities, glutes and legs. Not to mention that you will burn more calories than just walking or riding a traditional bike in less time. This is because this special outdoor bikes are designed to provide a better muscle activation that renders your exercise more efficient. 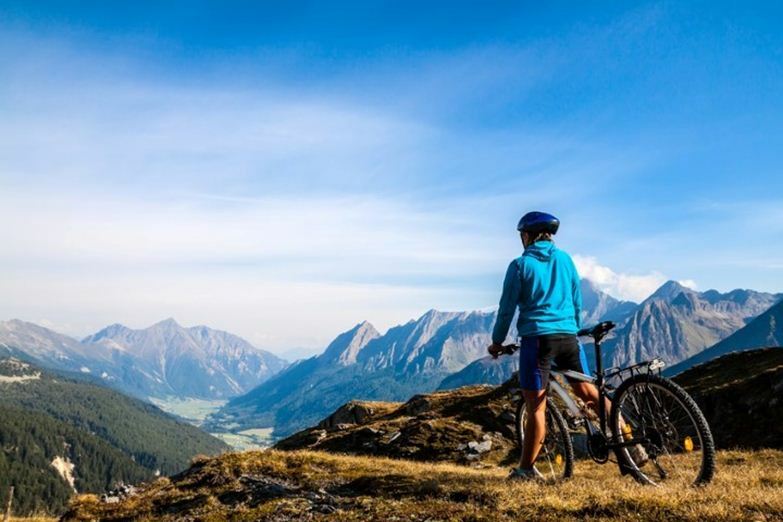 There are two main groups of people who would take out the best benefits outdoor bikes have to offer: People who suffer from particular problems and those who simply like staying outdoors. People who suffer from joint problems would feel an immediate change when they start using this piece of equipment. Since it’s comfortable and provides a completely natural stride on a stand-up position, it is not heavy on the articulations and will not cause any additional pain. Compared to running or using traditional bikes, outdoor elliptical bikes feature a smooth and easy movement with additional core activation. On the other hand, people who enjoy the outdoors will find this type of elliptical fun, more enjoyable, and maybe even addictive. Since it is a portable unit, you can take it almost anywhere, and most of the available models can even climb hills. So, there will be nothing to stop your training routine, no limitation on your outdoor activities. Most people would agree that exercise is a lot better when we do it along with our best friends. And this is another great benefit of performing outdoor activities. Outdoor bikes are not an exception to this, they provide an excellent opportunity to be out there and enjoy with friends. Going to the park, taking a short trip to the countryside, or just striding along in your neighborhood are all potentially social activities that would be highly enjoyable while performing a full-body exercise. Finally, we should mention that all fitness enthusiasts would find this bikes an interesting choice. Riding one of these is a lot better than running because it provides an improved metabolic response. What’s more, we can consider elliptical trainers to be a type of cross-training to improve our running efficiency. So, now you know what is an outdoor elliptical bike. It is a novel piece of equipment that is both fun and efficient. It provides the best type of outdoor physical activity, even better than running or using regular bikes. They are easy to carry around, and will not hold you back on your social outdoor activities. Enjoy nature and friends with your elliptical bike and perform a full-body workout, easy on your articulations, and specially designed to burn more calories than other devices.